As the #MeToo movement continues to reverberate around the nation’s boardrooms — and now, the Senate Judiciary Committee’s hearing room — a new survey shows that party affiliation and gender play a significant role in views of women in positions of power in politics and business. The poll from the Pew Research Center finds that nearly six-in-ten Americans overall say that there are too few women in political office and in positions of business leadership. But just about a third of Republicans believe women are underrepresented in politics (33 percent), while 79 percent of Democrats agree. Among all men, about half — 48 percent — say there are too few women in politics, while 69 percent of women agree with that statement. Republicans are also less than half as likely than Democrats to say that gender discrimination is a major reason why there aren’t more women in politics. Just 30 percent of Republicans cite discrimination as a major factor, while 64 percent of Democrats do the same. Among men and women, there’s a similar divide, with 36 percent of men and 59 percent of women saying gender discrimination affects female participation in politics. Perhaps most striking are the divisions within the Republican Party by gender when it comes to Republicans’ views of women in positions of power. Republican women are more likely than their male counterparts to say that there are too few women in politics by a 20 point margin, 44 percent to 24 percent. 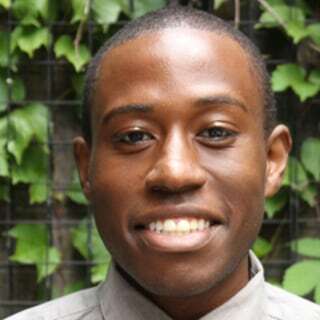 That’s compared with 73 percent of Democratic men and 84 percent of Democratic women. A majority of Republican women — 62 percent — say it is easier for men than it is for women to get elected to political office, while 48 percent of GOP men say the same. 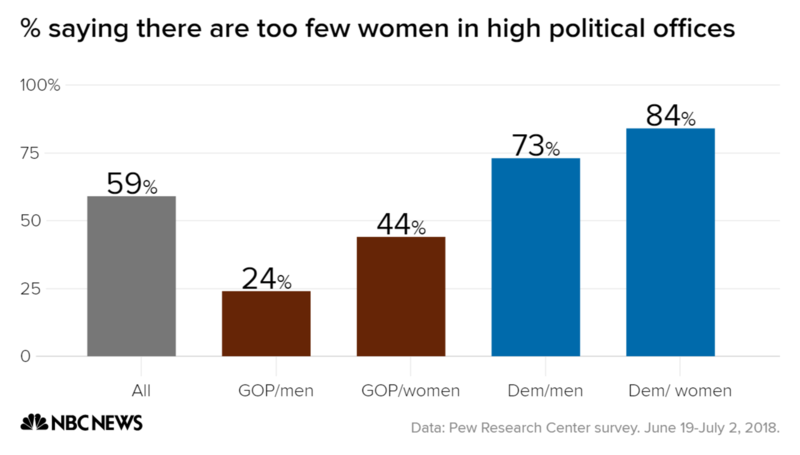 Asked if gender discrimination is a major factor in why there aren’t more women in politics, 48 percent of Republican women agree, while just 14 percent of GOP men say the same. The study comes as an unprecedented number of women, the majority of them Democrats, are running for federal and statewide offices in the midterm elections. And it comes as Republicans face the treacherous task of addressing a decades-old claim of sexual assault against Supreme Court nominee Brett Kavanaugh without alienating female voters, whose support for the GOP has eroded further in the Trump era. Despite Democrats’ selection of Hillary Clinton as the first female nominee of a major political party in 2016 — or perhaps because of her surprise loss to Donald Trump — women are actually less optimistic now that voters are ready to elect women to higher office. Forty-five percent of all Americans now cite reluctance to elect women as a major barrier to female political leadership, up from 37 percent in 2014. And that increase in pessimism has occurred almost entirely among women. A majority of women — 57 percent – now credit voter wariness of female candidates for the dearth of women in positions of political power, up from 41 percent four years ago. The share of men who say the same — about a third — is virtually unchanged in the same period of time.